At Feilding High School we offer all students the opportunity to join the Kapa haka group Te Rau Huia. Te Rau means the feather. 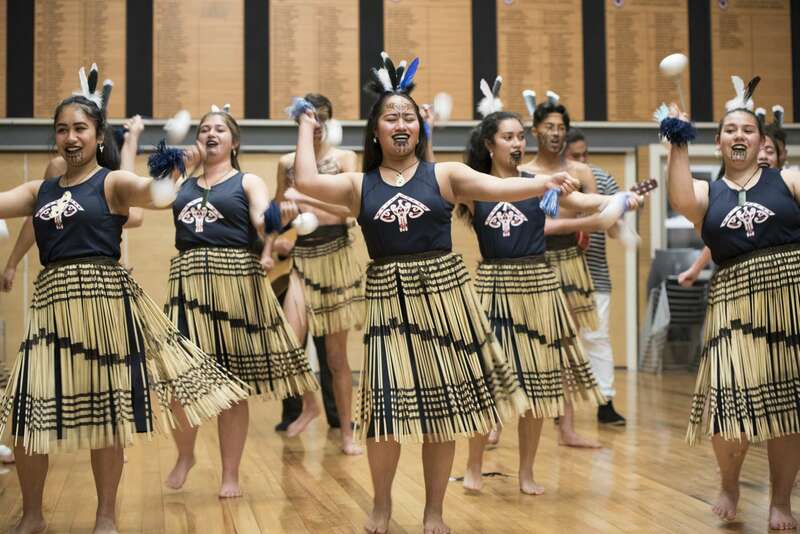 We consider Kapa haka to be the cultural feather of the three feathers in our school logo, the other feathers representing the academic and sport. As members of the group students then may choose to become part of the performance group. Opportunities for performing include school pōwhiri and assemblies, Ngaa Manu Koorero regional Speech competitions, Pae Rangatahi Kapa haka festivals (held bi-annually) and Pae Taiohi regional Secondary School Kapa haka competitions (also held bi-annually).